Swedish furniture retailer IKEA has recently applied for a building permit to develop its department store in BTC shopping district in Ljubljana, Slovenia. 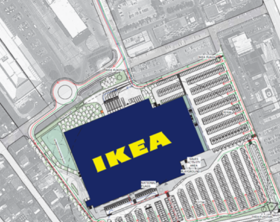 Swedish furniture retailer IKEA is planning to complete the construction of a retail park worth 50 million EUR in Belgrade by the end of 2020, announced the company’s CEO for South East Europe (SEE) Stefan Vanoverbeke. IKEA, Swedish furniture retailer, is set to begin the construction of its first department store in Slovenia, located within the retail complex BTC CIty in Ljubljana, in 2019. 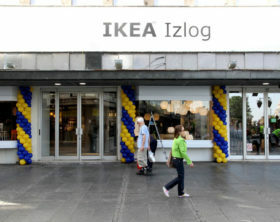 IKEA, Swedish furniture retailer, opened on the 3rd of May its first showroom in Belgrade's city center, located within the department store ‘Robne kuće Beograd’ on Knez Mihailova Street. IKEA, Swedish furniture retailer, is planning to build its third store in Romania in the city of Timisoara and has reportedly applied for a permit to construct a roundabout that would provide access to the future department store.